Plymouth University has once again been ranked as the most sustainable university in the country after topping the People and Planet Green League for a second time in five years. The University was ranked first out of 151 universities, and in the process maintained its remarkable sequence of top-four placements over the past six years, moving up from second in both the 2012 and 2013 leagues. It also builds upon Plymouth’s unprecedented three Green Gown Awards last year, in which it was recognised for outstanding sustainability work in teaching and learning, social enterprise, and catering. 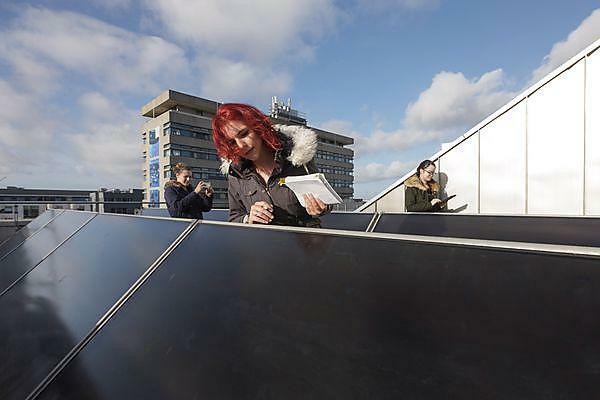 “Plymouth University has been on a journey to explore what sustainability means to us as a university, and it’s one that we’ve now placed at the very core of the way we do things. It is threaded through our teaching and curriculum; it drives much of our research as we look to tackle some of the most urgent scientific and socio-economic issues of the day; and it is in the way we run our campus and manage our relationship with suppliers. The People and Planet Green League is the most comprehensive assessment of a university’s sustainability credentials in the sector. Institutions are judged across a broad range of criteria, with the heaviest weighting coming in campus performance such as water consumption and renewable energy use. But it also takes into account areas such as environmental policies, ethical investment, carbon management, sustainable food, and teaching and learning. said Dr Samantha Davies, the University’s Sustainability Manager.